Amners Farm specialises in the production and sale of high quality haylage, hay and straw, primarily for the equine market. Prices are available upon application and may vary depending on quality, quantity and delivery. Collection can be arranged from the Farm. Our haylage is made from purpose planted ryegrass leys here on Amners Farm, these leys produce excellent quality horse feed. Grass is cut, dried, baled and wrapped in plastic, which gives a dust free horse feed. Our haylage is analysed and customers can request different energy and protein levels depending on the particular needs of their horses. 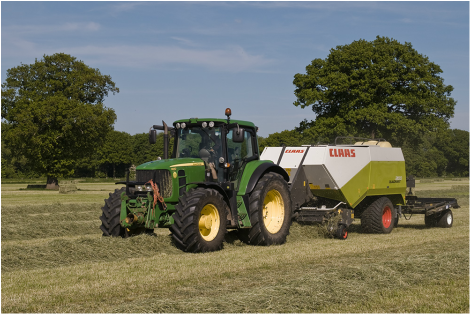 Haylage may be used as alternative feed to grass. Horses need adequate fibre in their diet to keep their large intestine working properly: traditionally, in the winter period, this has been supplied by feeding hay. Acquiring hay of consistent quality has often been a problem, as the horse tends to be a fussy feeder and will reject poor quality material, especially if there is an unusual smell or significant moulding present. Many equine nutritionists now recommend feeding haylage instead of hay. Haylage is much closer to the horse’s natural diet of grass, both in texture and nutritional value. It is more palatable and digestible than hay, has a higher nutritional value and is less dusty. If made properly it will contain few, if any, mould spores and its higher moisture content (about 40%) helps prevent any spores that are present from becoming airborne and causing problems. Our hay is made from both ryegrass leys and meadow grasses, and is baled in large or conventional bales. 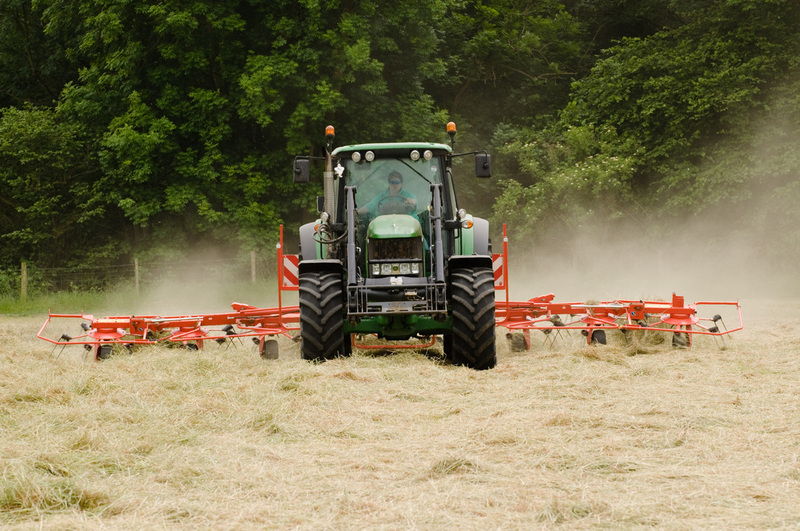 Straw is baled from barley, wheat and oats and is available in large and conventional bales.